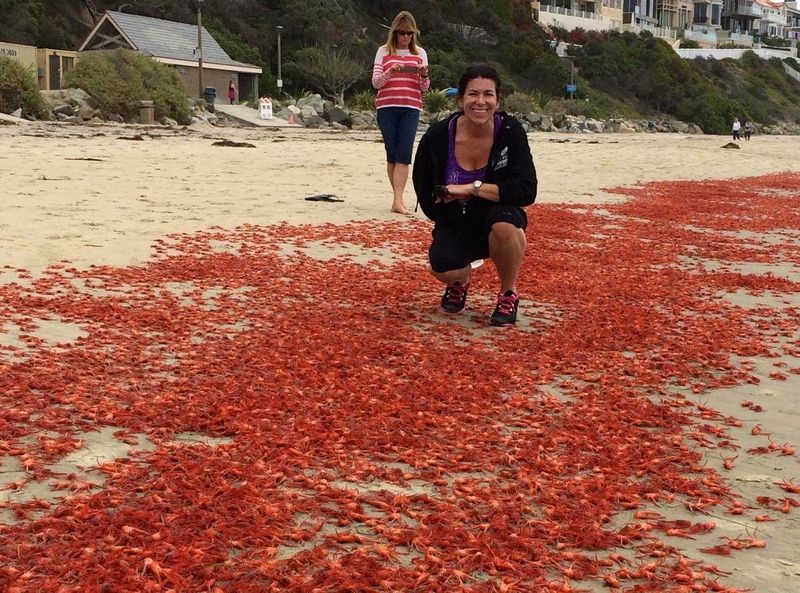 Countless numbers of red crabs native to the waters off Baja are washing up Southern California's beaches. The red crabs, also known as tuna crabs (Pleuroncodes planipes) began appearing in great numbers just last week. 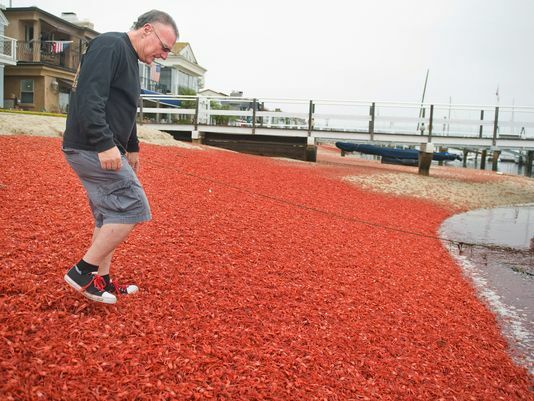 Once washed ashore, they become stranded, dry out, or become a tasty meal for the local wildlife, leaving their spiky red bodies to decay on the beach. The crustaceans, measuring 1-3 inches, were first reported in San Diego, and have since been reported as far north as Huntington Beach. This is not an unusual occurrence, as they generally appear in El Niño years, and are prompted to venture north due to warmer currents in the Pacific Ocean.